If there's one thing I love about the holidays, it's how you get transported back to simpler times. Baking sweet goods, making handmade gifts, writing Christmas cards to faraway friends... the holidays encourage you to make and do and truly give of yourself. 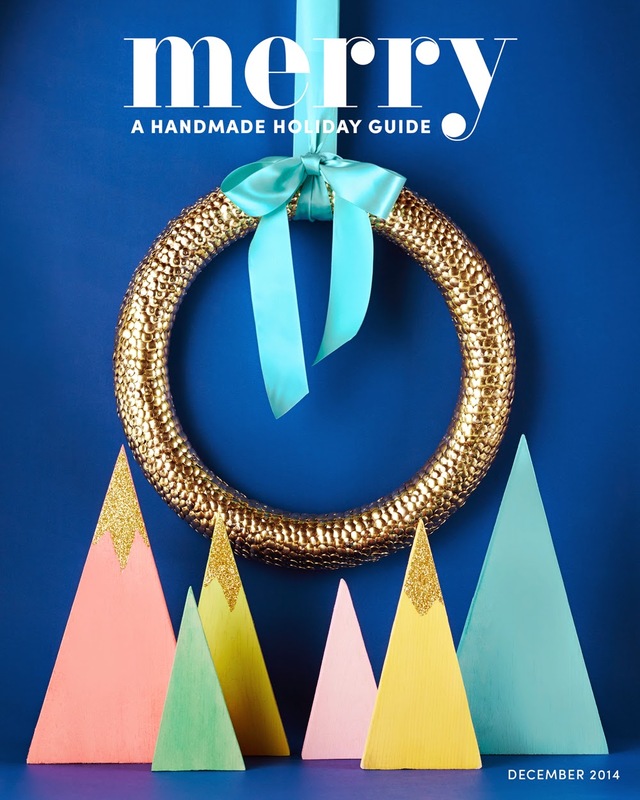 If you're looking for ways to bring the handmade into your holidays, then find your inspiration right here in the pages of Merry. 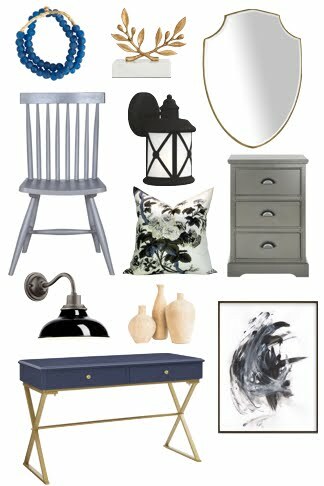 Put together by Melissa of The Sweet Escape and 15 contributors (myself included! 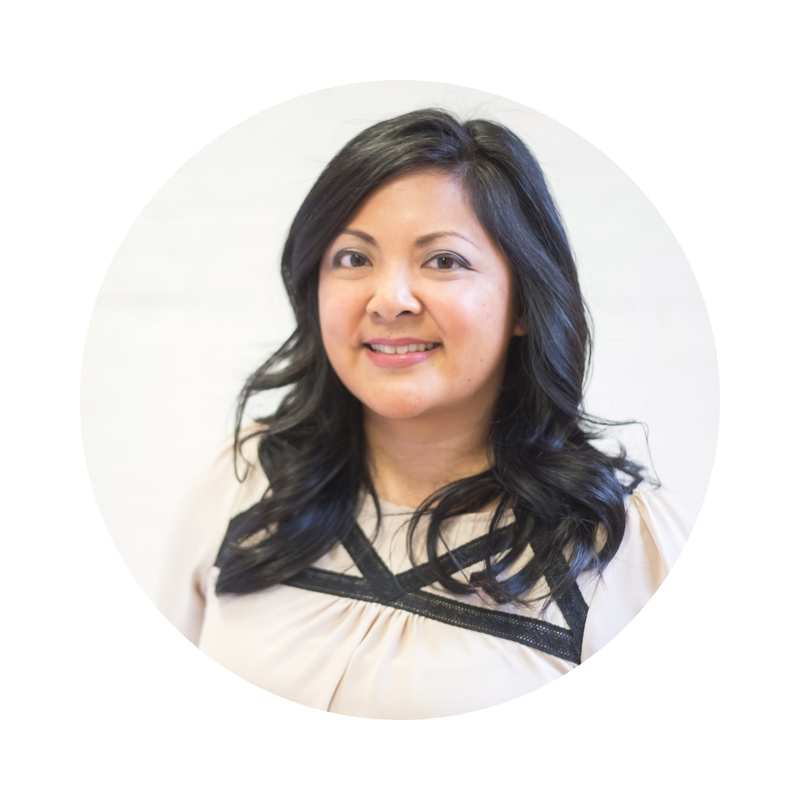 ), Merry provides creative and original ideas on how to enjoy a truly one of a kind holiday season. 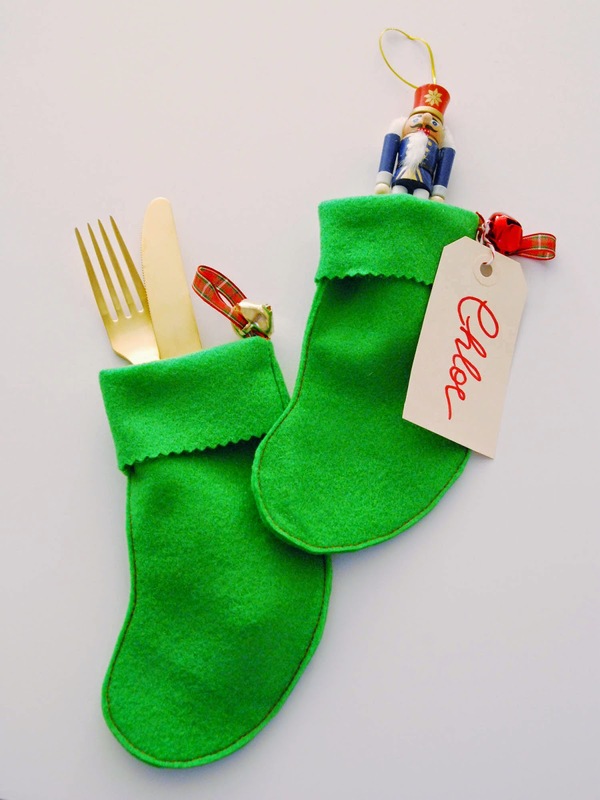 The tutorial for my Felt Mini Stocking project is below. If you're inspired in some way by Merry, I'd love to hear about it. Happy reading! When it comes to crafts, I like ones that are easy, quick, and cute. This project is all three! I love working with felt. It's very forgiving, easy to cut and sew, and doesn't fray. It's also fairly inexpensive so it's a good material to use when you have to make multiples of things. 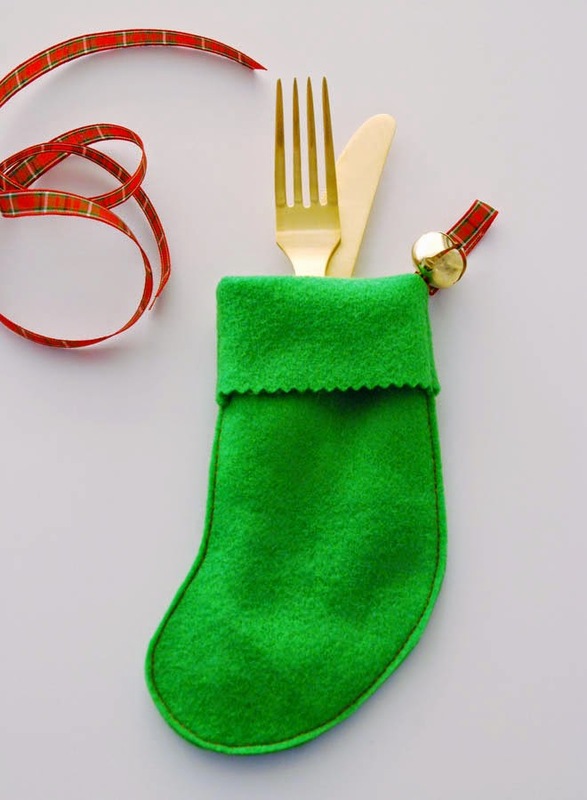 This Felt Mini Stocking was so simple to make and only takes about two minutes to complete so you can whip up a few of these quickly. 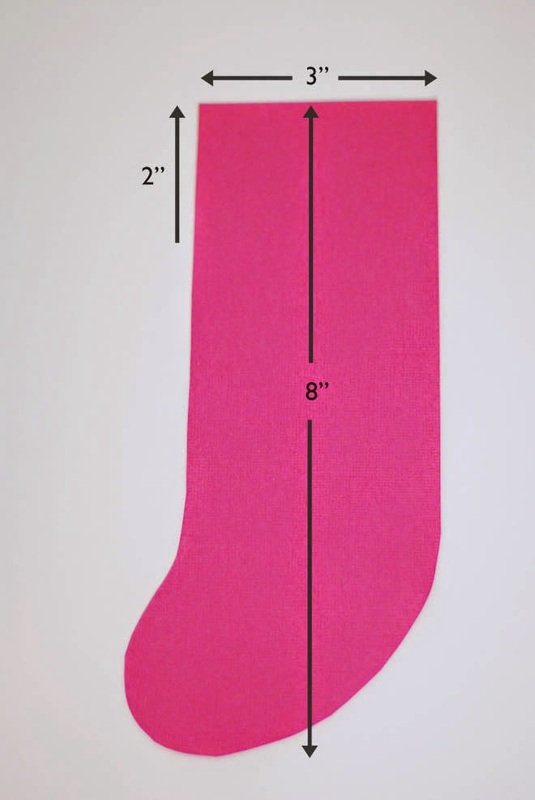 Create a stocking template using card stock. Make the stocking 3" wide by 8" high. The top 2" will be folded over to create the cuff. Cut a piece of ribbon 6" long. String a bell on the ribbon. Cut a piece of felt 8" wide by about 9" high. Fold in half. Place the ribbon in between the folded felt, with the bell inside. Poke the ends of the ribbon about 2" down from the top of the stocking. 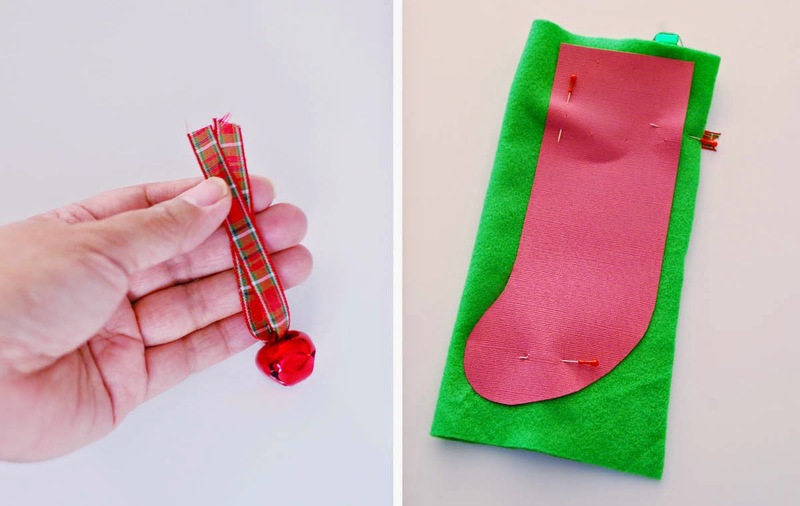 Pin the stocking template on top of the folded felt. Pin the ribbon ends in place. Sew just outside the template, down one side, along the bottom, and up the other side. leave the top unsewn. Remove the template. Cut through the two pieces of felt just outside the sewn line. Be careful not to cut the stitches! Use pinking shears to cut along the top. Fold the cuff down 2" and bring the ribbon to the outside. Easy, right? 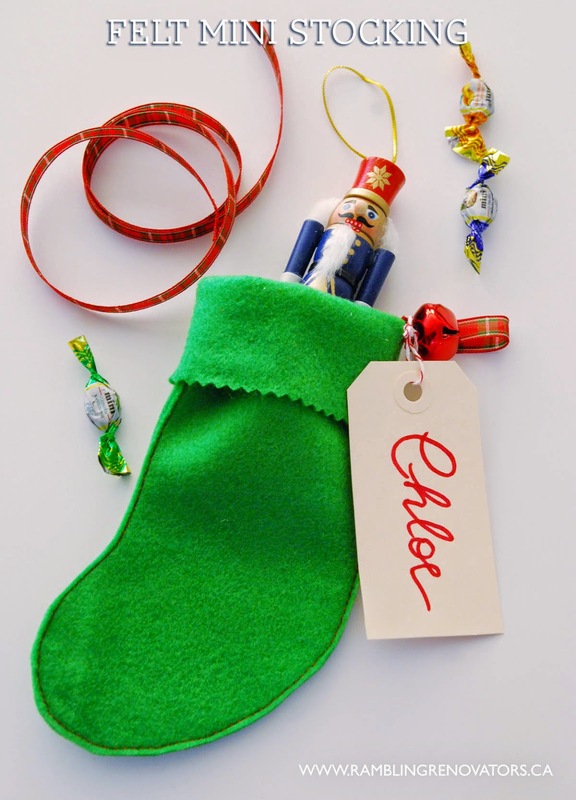 You can embellish the stockings with buttons, ribbons etc. just using white glue. This is also a project the little ones can help you with. I let Chloe have a go at sewing some of the straight edges and she cut all the ribbons for me. Now all that's left is to gather some treats to put inside!